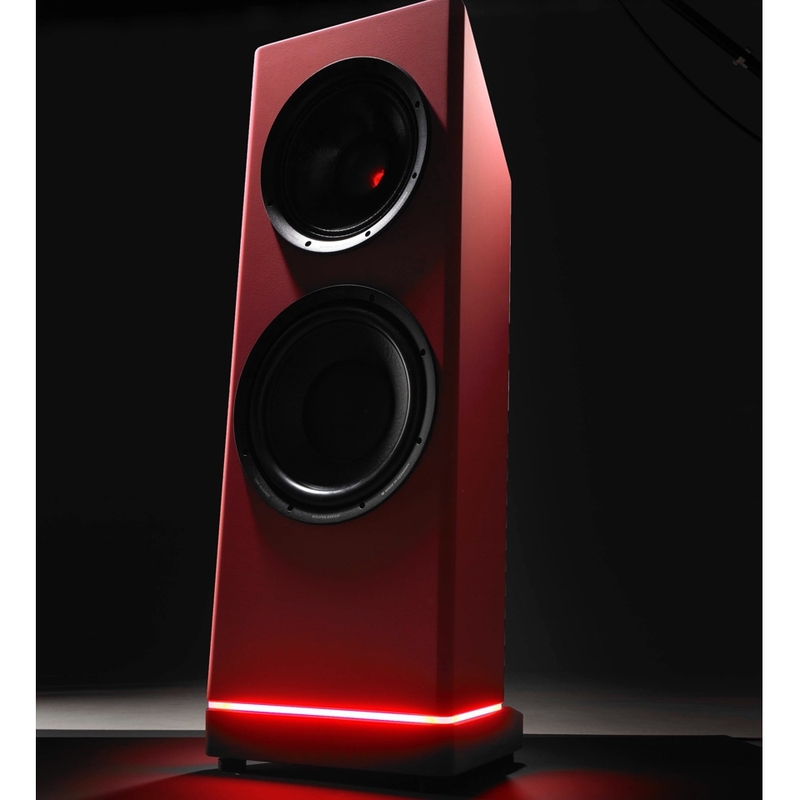 ASCENDO has announced the release of their new Live 15 ACTIVE hi-fi / cinema floorstand loudspeaker. The Live 15's are set to be a game-changer in the loudspeaker industry….Breathtaking.…Unique….and Insanely Powerful !! The Live 15’s has already attained reference status for live music reproduction. They easily fit the bill for “the alternative to a live concert”. Timelessly modern and straightforward in its design, each Live 15 speaker consist of a sealed enclosure with a massive and extremely fast 15” (40cm) professional sub-woofer (custom made to ASCENDO specifications), as well as a 12“ (30cm) professional two-way high performance MF/HF coaxial driver that meets the highest demands in dynamic, sound pressure and sonic quality, for an uncompromising hifi / cinema experience. The Live 15’s can be used as high-end stereo speakers or as high-end cinema front speakers (Left and Right; with built-in sub-woofers). Each pair of Live 15’s offers an enormous 3,300 W RMS built-in DSP power amplification with extensive protection features (clip limiter, temperature and current limiter, DC and HF protection). Having so much power on tap, allows the Live 15’s to perform within a league of their own with regard to authority, dynamics, low bass, bass pressure and absolutely distortion-free peak levels. Each speaker offers legacy analogue XLR inputs, but also a built-in 3-port fast Ethernet / AVB compliant switch; which means that the Live 15’s may also be driven via digital lossless AVB IEEE 802.1 streaming technology. The Live 15’s offers comprehensive room acoustic response correction capabilities via a self-explanatory web-browser interface. This in itself is a huge advantage over the more conventional passive speaker system setup. The Live 15 can be fully calibrated to any kind of room. Even facing the most difficult spatial conditions or installing it very close to a wall, the integrated room adjustment feature guarantees the outstanding sound quality of this thoroughbred loudspeaker. The Live 15’s offers a “clean” and beautiful setup – you only need a source and a pair of XLR cables to complete a legacy system. If there is such a thing as dangerous levels of addiction to musical reproduction, then the Live 15’s surely fits the bill. You can expect enormous amounts of pleasure and lots of Goosebumps when listening to the Live 15’s! Guaranteed! Each speaker weighs in at 90kg with dimensions 128cm (H) x 48cm (W) x 34cm (D, without plinth). Finishes include satin Matt (colour of your choice) and genuine Piano lacquer (12 layers) in black or white. Recommended Retail prices are R588k (matt finish) and R688k (piano finish). LEDs and Grills are optional and are being offered at our cost with the purchase of a pair of Live 15’s. Please feel free to contact me at any time if you have any further queries. For the record, it is not "a gloss finish", but 12 layers of genuine piano lacquer. A 12 LAYER GENUINE PIANO LACQUER FINISH entails an enormous amount of time (3-4 weeks), hand-labor and professionalism to achieve the final result. But hey, you are more than welcome to buy the one with the matt satin finish instead. Still looks stunning as you said! When are they expected to arrive in SA for audition? We will have a pair in the country during June/July. I will post again at the time.